Coming from an amateur background representing his country, expectation of JD Jones were at an all-time high coming into the professional ranks in 2017, two fights and two defeats later, the year has been one of frustration, one which he will look to put firmly in the rearview mirror in 2018 which he hopes will be a reverse in fortune. Mentored by former Commonwealth champion Jamie Arthur, training with the likes of Ricky Rowlands, Callum Busuttil and Geraint Goodridge, he is in the ideal place/position to do just that. My dad loved boxing so I also had a keen interest, it was always on the TV when Lennox Lewis & Naz were at the top and always had the old knockout kings games on the go as well, it was always something I wanted to try and something my dad would encourage so it was just natural to visit the local gym which was only a 10 minute walk for me. What attracted you to the sport of boxing over other sports Joe? I used to play quite a few other sports too, I used to be in and out of the gym trying to juggle too many after-school activities before I committed to boxing, I like the individuality of the sport it all comes down to the work you put in, you don’t have to rely on anyone else, other than that the skill side learning new angles different shots trying to add and learn different things. My fondest memory as an amateur, there’s a few, I represented Wales a handful of times and mixed in some good company, It’s great to see former opponents like Gavin Gwynne & Tim Cutler to name a couple flying as pros, hopefully, I won’t be far behind soon. I boxed 56 times as an amateur, winning around 38 of them at a guess, plenty of experience but like any fighter, I don’t feel I lost any of them haha. I’m a counter puncher, I like to use a lot of movement and use angles, I’ve been working very hard recently with Jamie in training, pressing and boxing off the front foot a lot and upping the punch output. You would probably admit to not having the start to your career as you would have hoped, currently 0-2 what would you attribute to the slow start to your career and what needs to change to buck the trend? Ye, of course, I hoped for a better start because I feel I have the talent & skills to move on and box at a good level as a professional, I’ve been working hard on pressing and taking the initiative more rather than sitting back looking for opportunities and all in all being more spiteful with my shots, I have learnt a great deal from my debut that you cant switch off for a second, the fight is never won until the final bell sounds I got a bit overconfident and got clipped. Your last fight was against Omari Grant in Worksop, could you take us through that fight and your feelings afterwards on the decision? I took the fight at two days notice and travelled up to Nottingham, the fight was close, I thought I may have got a result or a draw but its difficult away from home, I also boxed at welterweight which isn’t my ideal weight as I think I can get down to lightweight with a few tweaks to my diet, but I have boxed at super lightweight for a number of years, I pressed Omari and forced the fight which I have been working on, it was close he held a lot too but I’m grateful for the opportunity and the experience of boxing away and it was good to get out an be active. You are trained by former Commonwealth Super Bantamweight champion Jamie Arthur, What does he bring to the table in regards to improving you as a fighter? I know that you are constantly in the gym, what things are you/Jamie working on, correcting for the future? We are upping the work rate and countering and fighting more on the front foot and from centre ring and shortening the shots which have helped massively especially in sparring at short an mid-range, hopefully, I can put it all on show and fight like I spar. I recently talked to Callum Busuttil who said that you have helped him in preparation for his fight in Merthyr, which other fighters have you been able to spar recently Joe? Yes I’ve done plenty of rounds with Callum, he’s a great talent who always pushes me, we have great sparring, we are lucky enough to have good sparring at the gym and we don’t really have to travel, I’ve banked some good rounds recently with Henry Janes, Jacob Robinson & Kristian Touze who are all very talented, I get in with the bigger pros in the gym too like Ricky Rowlands & Geraint Goodridge and also some good lads who will be turning pro soon in Tom James & Robbie Vernon it doesn’t get much better day in day out. As any opponents been mentioned for your third professional fight?. Hoping to be out in Feb but more a more realistic Possibly a fight on March 16th against Tyler Davies 3-0 from Bristol, a good talented fighter which should be a good fight especially if we can get it over 6 rounds. Favourite Fighter of All Time: Floyd Mayweather Jr. In an Ideal world, I would be more active and able to tidy my record up, get some rounds under my belt and hopefully be in a position to fight for a Welsh title in next 18 months or so. 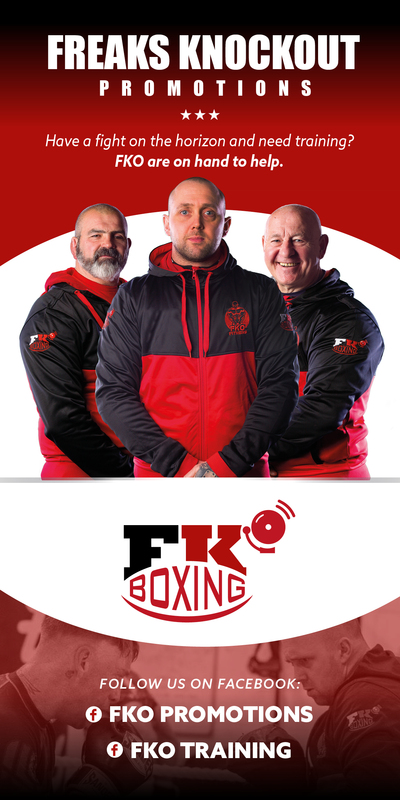 Obviously Jamie & Karen Arthur for all the work and time they put in and to all friends and family who support me and buy tickets, also everyone at the gym for creating a brilliant atmosphere to train. I would also like to thank TopClassBoxing for this interview.